The Asian Water Monitor (varanus salvator) is a challenge to keep as pet even for herpers used to handling lizards. Herpers are people involved with reptiles and amphibians. 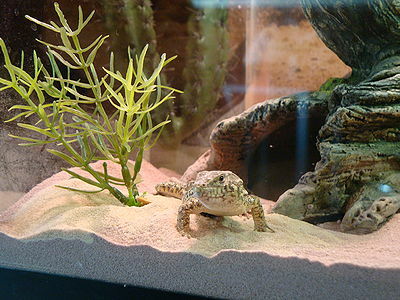 It comes from the word herpetology which is the study of reptiles and amphibians. This lizard’s native habitat is southern Asia from India east to the Philippines. These lizards look somewhat like dinosaurs. In captivity they grow to about 3-5 feet, but have been known to grow as large as 8-9 feet. The Asian Water Monitor is the third largest lizard in the world. The Asian Water Monitor normally lives in tropical forests near bodies of water and are accustomed to a hot and humid environment. While they do enjoy basking in the hot sun, the hottest part of the day finds them under shady trees. 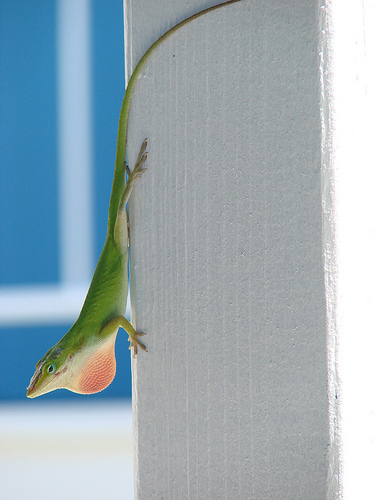 Generally these lizards arr not aggressive. But they do need to be provided with a large space like a pool or a pond with a sandy riverbed, some native plants and a small basking area. Minimum day temperatures should not be less that 90-95 degrees Fahrenheit. At night 70-75 degrees Fahrenheit is acceptable. To supply humidity, a protected steam producing machine can be placed at the bottom of the pool. The pool or pond should be at least 3 times as deep as the lizard is large. The water needs to be cleaned twice weekly. A large, strong cage should be fitted over the pool or pond and reach over the bank where the lizard will bask in the sun. The Asian Water Monitor is, like all lizards, a carnivore. They eat chicken or similar size birds, rats and other small mammals and fish. Youngsters can be fed locusts. 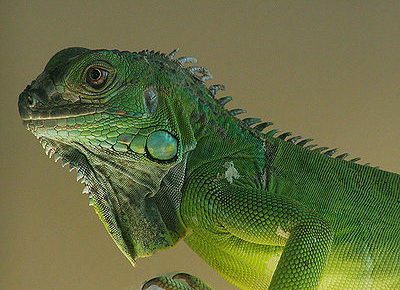 If you have other pets such as a dog or cat, the lizard will view them as a meal. Which is a good reason this monitor needs a strong, secure cage over it’s habitat. It’s important to handle your lizard from the time it is a youngster so it gets used to you. Hand-feeding builds trust between you and your lizard. However this is not a pet for someone who is not experienced and knowledgeable about large lizards. With time and patience, your lizard will be a loyal if unusual companion.